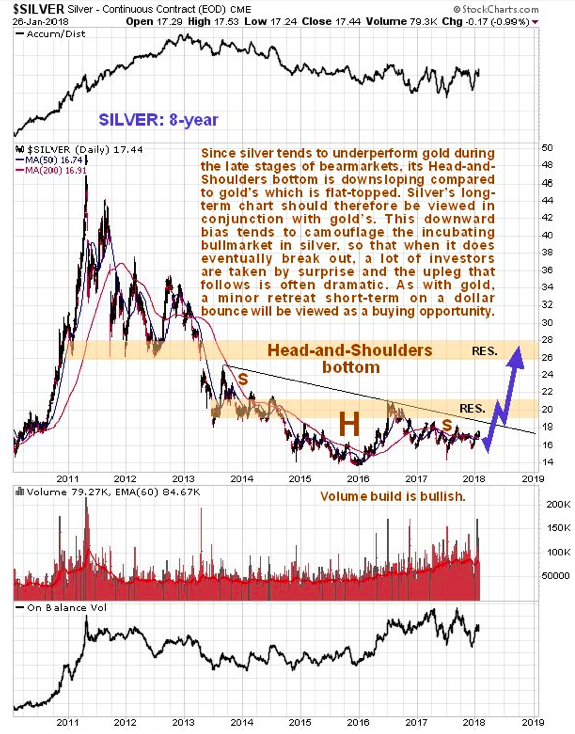 As with the gold market update, analyst Clive Maund see's silver breaking out as well albeit a little bit slower as it tends to underperform initially as it like's gold to lead the way, but once it does it's off to the races where silver usually outperforms gold. 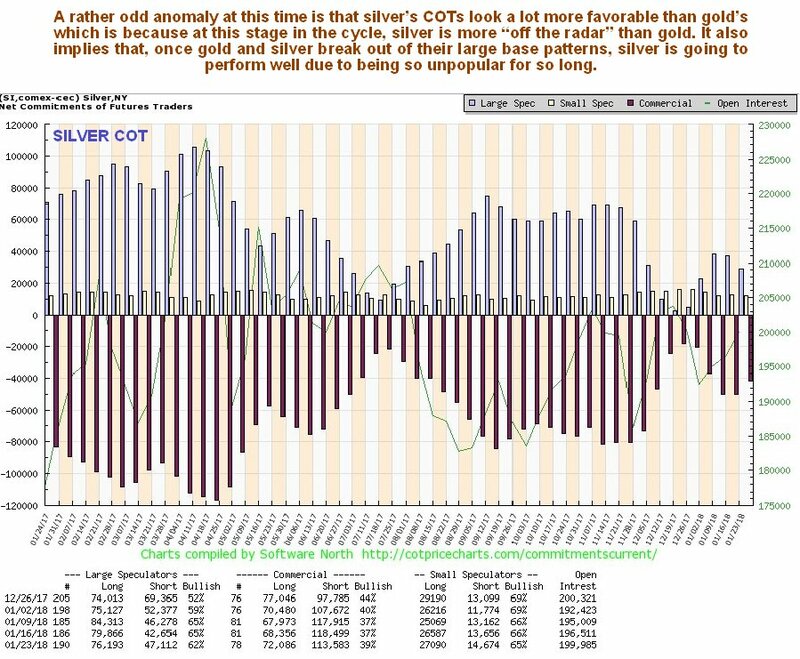 According to Clive the commitment of traders report looks surprisingly favorable even more so than gold and possibly could do with the explosive rally silver can produce percentage wise. ...and also supports our contention that when silver does break out of its base pattern, the resulting rally could be sharp.